ROG Gaming Audio: SupremeFX S1220 teamed with Sonic Studio III, cast an aural landscape that draws you deeper into the action. Talking about the motherboard itself, we are looking at an EEB/ATX Form Factor (14″ x 14″). The board comes with a single LGA 3647 socket which is powered by a 32 Phase VRM design. 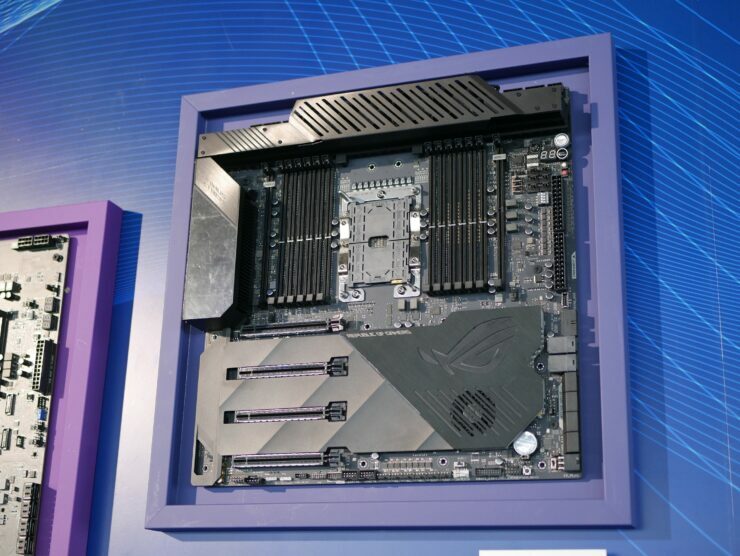 This is going to be the beefiest power delivery solution ever designed for a CPU lineup. 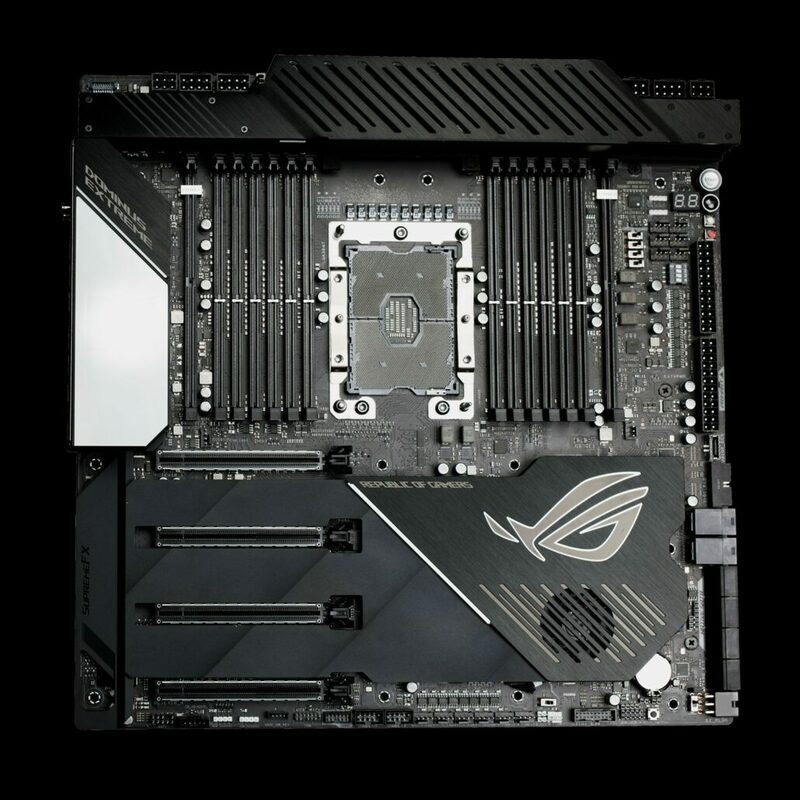 The board gets power from a range of different connectors and is designed to take advantage of dual PSUs that allow for unprecedented overclocking potential on the high core count Skylake-X processors. Now follow me on this, you need two ATX 24-pin connectors to power the board alone. 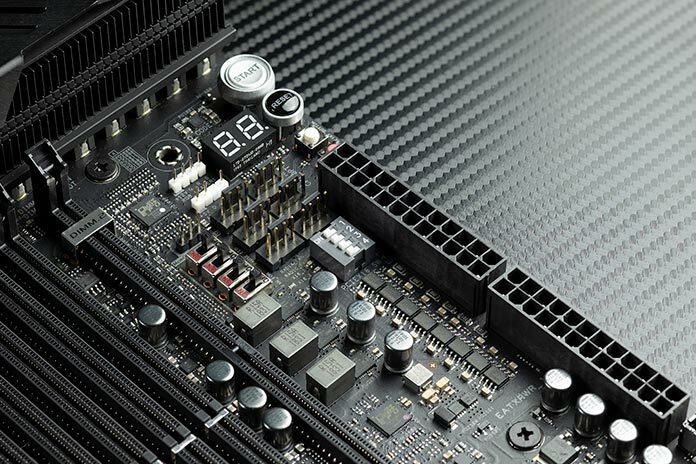 To power the CPU, you’d need quad 8-pin connectors and dual 6-pin 12V power connectors. So yeah, all of this juice is just for the CPU alone. Let’s move to the expansion capabilities which include quad PCIe 3.0 x16 connectors with full x16 lanes. This allows support for 4 way NVIDIA GeForce SLI, NVLINK, and AMD CrossFireX. Those who are building workstations may find this to be the perfect Quadro or WX series rig for them. Memory support includes 12 DDR4 DIMM slots which can support 192 GB of memory. There are also dual DIMM.2 slots, offering support for four M.2 SSDs. Storage options include two U.2 ports and 8 SATA III ports for unmatched storage capabilities. The VRM is cooled by a large heatsink with active cooling (four blade fans) hidden underneath the heatsink shroud. 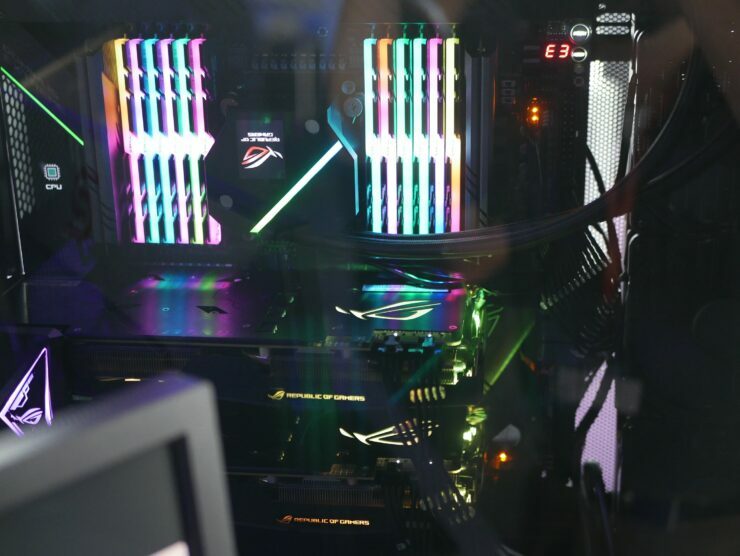 There’s also a large I/O cover with the 1.77″ color LiveDash OLED and a full aluminum body cover and backplate armor that comes with ASUS Aura Sync RGB Lighting. 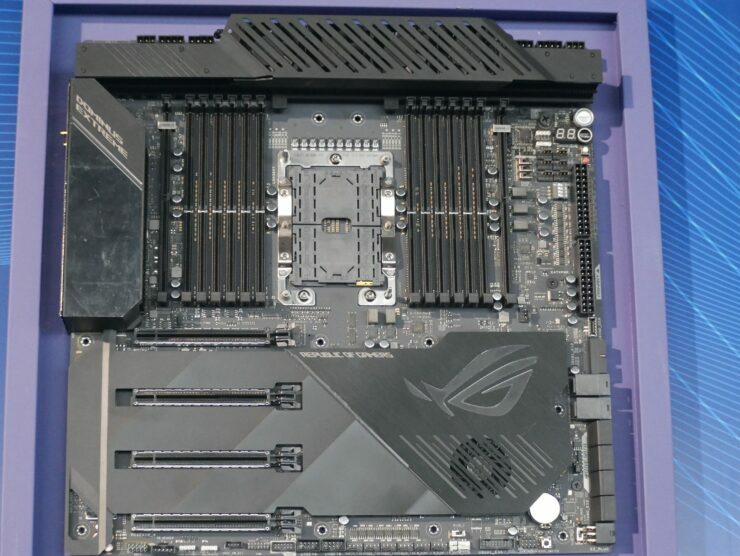 The motherboard PCH heatsink has the large ASUS ROG Eye logo which looks beautiful. 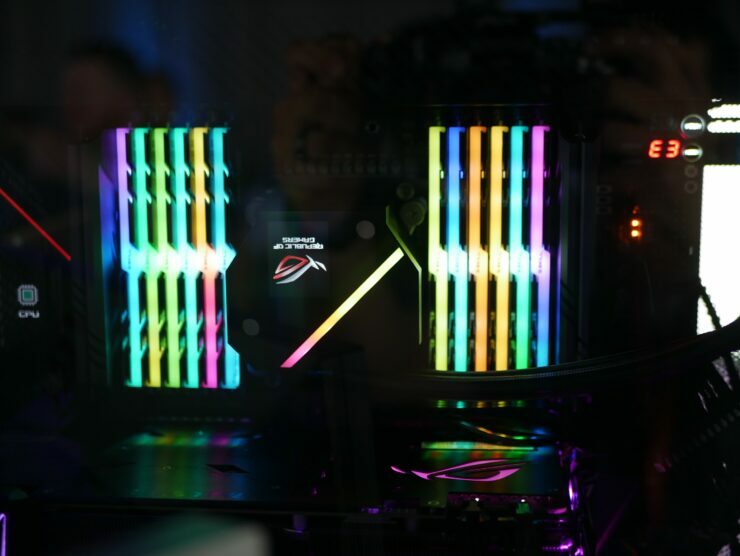 The motherboard is said to be tailored for custom liquid loops and given the amount of power it needs, it would require some beefy cooling solution to run stable 24/7. 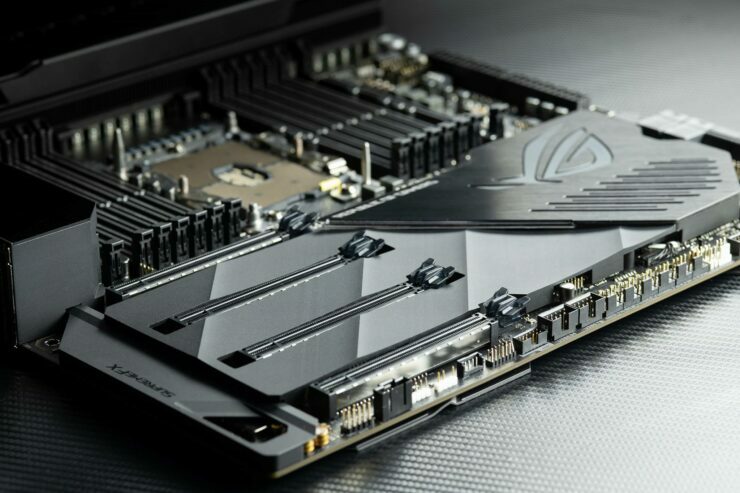 I/O on the motherboard includes Aquantia AQC-107 10Gbps LAN, Intel I219-LM Gigabyte LAN, Intel AC-9260 802.11ac Wi-Fi, and ROG GameFirst technology. Audio is powered by the SupremeFX S1220 teamed with Sonic Studio III. 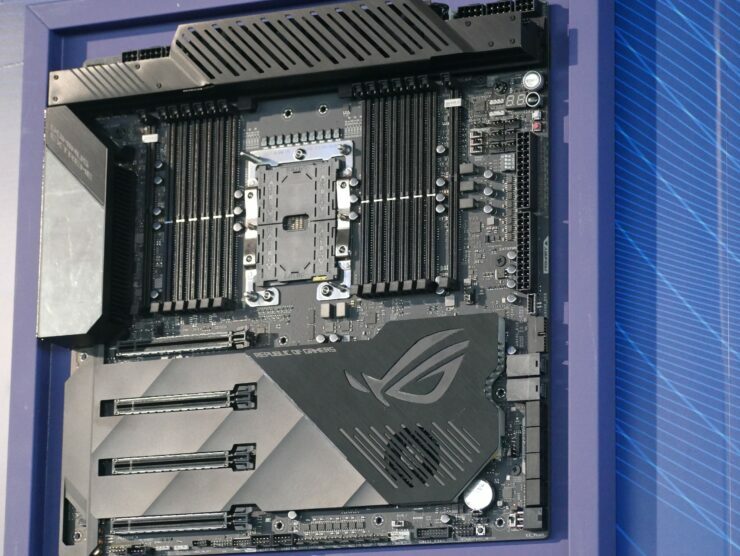 ASUS is also offering a range of USB 3.1 Gen 2 Type A and Type C ports for expanded connectivity options. 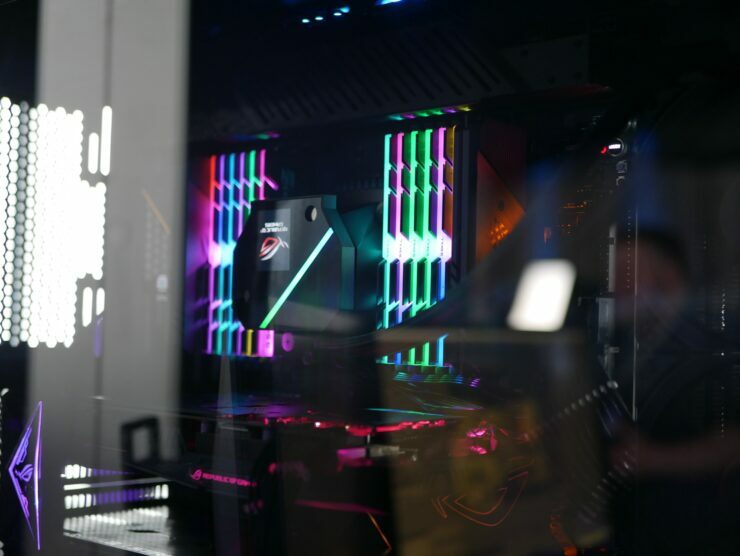 The release date is pitted for December and the price remains an unknown but we will make sure to get more information on the motherboard when it comes.